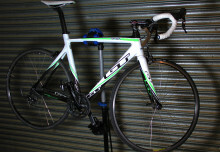 We were pretty impressed when we originally came across See.Sense and their first set of bike lights. The new ICON lights have a range of cool new features, along with a few tweaks and improvements upon the original design. 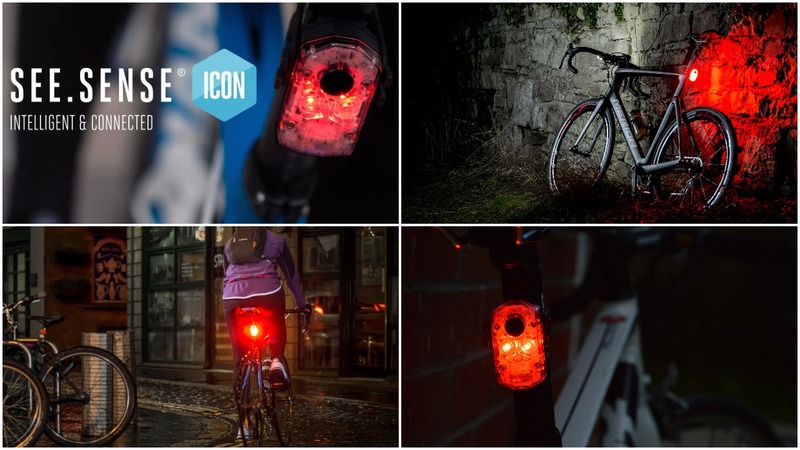 So I took a look at the ICON rear light to see if it would live up to our expectations. The design has changed from a rectangular to an octagonal shape, with the addition of a red rim (for the rear light), and it is noticeable slimmer and less bulky. The most obvious feature which we immediately noticed (and were quite pleased to see) was the introduction of a button on the front of the light. When we were testing out the original lights, we did have some difficulty getting the knack of flicking and turning the light from left to right in order to operate it. And despite buttons possibly being annoying during winter – I think it’s a necessary compromise, as it’s easy to use and a good improvement upon the original. When it comes to charging, as opposed to the flap at the side of the old light, the ICON has a removable silicone plug on the rear of the light making it slightly easier to access the charge port. The silicone plug has a curved back which rests nicely onto your bikes seat post. Aside from that, mounting the light is still the same as the original, with its stretchy and secure silicone straps. I was happy to see that they’ve been retained, as they are really quick and easy to use. Another great addition is the ICON app for smartphone integration. After downloading it for free, the app offers a simple configuration panel with clear options to: turn the light on/off, adjust brightness, turn flashing mode on/off, motion sensor on/off, anti-theft on/off, crash alert on/off and a battery check. And the answer is yes, the theft and crash alerts are exactly what they sound like and are pretty cool additional features. After turning on theft alerts the ICON will recognise if your bike is being moved or tampered with (within 15 meters) and you will receive a notification. Similarly, with crash alert, the ICON will recognise if you’re involved in a collision and can send a SMS to a chosen contact with the option for you to cancel the message first if you’re okay. However luckily for me (and my bike) neither of these were required whilst I was out riding with the ICON attached! The theft alert is a nice feature to have, but it’s by no means a replacement for locking up you bike properly if you are planning to leave it out of sight. 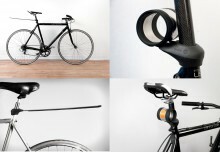 What sets See.Sense lights apart is that they are intelligent bike lights. They improve the safety of the cyclist by using advanced sensor technology to react to the environment you’re in. For example, it will sense when you’re approaching a roundabout or junction and flash more rapidly and shine brighter during daylight hours. Along with improving visibility the lights can last up to 15 hours which should be more than enough to use them for a lengthy weeks worth of commuting to and from work. I also used my riding partner as a guinea pig and followed them to see the lights in action for myself. Although I knew already what the features were, it was still really impressive to see them reacting to every change in the road, decrease in speed and car headlights approaching from behind. Although the ICON is a new product, it’s as much of a upgrade upon the original lights than something entirely new in itself. In looking at those first See.Sense lights, the technology and idea behind them, it was easy to see how the team responsible wouldn’t be going away. Well they did, but only to go and develop something even better! The small alterations and improvements on the original, plus the addition of a range of new features, make the See.Sense ICON a seriously impressive bike light.